What is A Silent Voice? I taught myself in the past not to be biased by Kyoto Animation works. Truth be told, I am a huge Kyoto Animation fan and always anticipate their works, whether it’s Hibike Euphonium or the upcoming Violet Evergarden, I will definitely watch them. One thing I noted from their works was their tampering with source material. They always excel at making a short source material into a good TV series, evident in Chuunibyo! Demo koi ga shitai, Hibike Euphonium, Hyouka, Free!, and so on. Just look at how Free! Dominated the fujoshi market and how Chuunibyo! Demo koi ga shitai practically shaped the entire anime industry on what should be done to chuunibyo and how to handle one. However, not all their tampering was good. A Silent Voice was this case. The source material was a 6 volumes of manga, and they tried to cram it all up into one anime movie that has the length of just over 2 hours. It’s best to mention here first that the movie just came out in my country on May 3, 2017 and I actually watched it on the Cinema. That was the first experience for me to watch an anime in big screen, since they rarely to never screen any of my select movies in the cinemas, or sometimes I just missed them. And as a result, there would be no screenshoot here, sorry about that. In watching the movie, despite the fact that I have read the manga already, I pretended as if I haven’t read the source material. This was important, as to give me the feel of never seeing the actual source work myself, and to be more critical in ways other than comparing the adaptation. However, even that doesn’t blind me to the fact that there was something wrong with the movie. Essentially, the movie main theme deals with how bullying plays out and how the regret haunts those who choose to do it. Shoya bullied Shoko to the point that he was later bullied as a result of that, and his mother, who is supposedly a single mother, had to pay the price for it. It burdens the young kid heavily, but there is one thing that a professional wrestler once said, and I quote “Karma is a b****”. How the movie deals with this is really exceptional. I truly could feel how my emotions were stirred up so much during the course of watching that movie. How Shoya blames himself, how he feels unworthy of living, and how he feels overjoyed when he finally has a friend, it was truly a something to behold. My emotions were stirred thanks to Kuzu no Honkai last season, and now this was it. There was a problem with the structure of the plot and characters. The plot was too rushed on the second half of the movie, despite the strong first half, a very strong one to be exact. To be honest, the movie was good, up until the moment where Shoya decides to shove away all of his friends, except the aforementioned deaf girl, whose name is Shoko Nishimiya. And speaking of characters. I know this is a movie, but was it that since it is a movie, it does not present an opportunity to develop the side characters well? That is not the case though, as The Anthem of the Heart was able to develop their side characters properly and makes me attached to all of them despite the short length. After all, that last scene from The Anthem of the Heart still surprises me to this day. 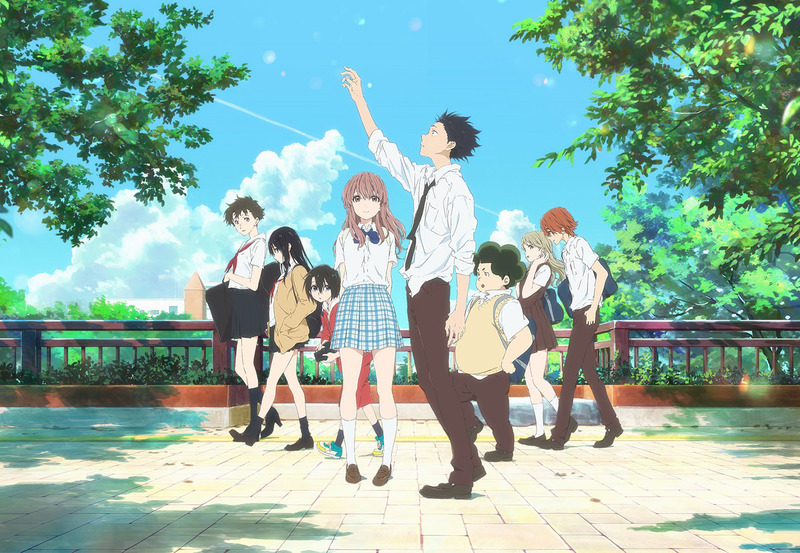 Despite that, A Silent Voice was not able to capitalize on the strong background presented to each characters, and even without knowing the source material beforehand, those who have a keen eyes might know. Maybe casual fans could shrug this aside, but there are lingering issues as a result of that. Why was Ueno so adamant on protecting Shoya, aside from her hinted feelings to him? Why was Kawai trying so hard in keeping up her cute girl image? Why was Nagatsuka so reliant on Shoya? Why Yuzuru did not attend school? Why was Sahara has that inferiority complex? There are a lot of why question here, but let’s just keep it at that. If I created a thesis out of this, perhaps I might be able to graduate from my college right now. And this comes from Kyoto Animation, who excelled so much at making us feel so attached to all the characters in their works. Not all, but most. All jokes aside, out of all the characters, I think Nagatsuka and Yuzuru stood out as the best supporting cast here. They have a great chemistry and they captured how a good friend and a good sister feel to each main character. And there was just something about that cool Nagatsuka voice though. I should not talk about Shoya Ishida and Shoko Nishimiya, given the fact that they are the main leads here, it is only proper that the movie revolves around them. That, however, comes at the cost of other characters getting the boot of their background. This is a good opportunity to bring up the adapted out trope. As the movie suffers from a lot of materials getting adapted out, including that movie-making arc that accompanies the main arc that we’ll get into later, it clearly suffers from that backgrounds for the character. I cannot stress out how important characterization is and by adapting them out, it’s just like asking the movie to get a bad reception. Let us speak about the movie-making side arc. This is the main highlight of the manga and Kyoto Animation decides to adapt that out of the movie. It sounded outrageous, yes, considering how important that side-arc, I don’t think it’s that bad to adapt it out, but it’s not that brilliant either. There are several cringe-worthy scene involving that movie-making side arc, but it gives the characters something to bond over, and something to continue onward after that fateful incident involving Shoya. And given that this movie-making idea was Nagatsuka’s idea, I think it pretty much kills of his character development. But, I still think that adapting it out was a pretty clever idea in shortening the movie, as there are unnecessary scenes regarding that side-arc. And now, let us speak about several intrinsic aspects regarding the movie. First up is the music. I had mixed feelings about this, since it sounded great at times, but sounded a bit awkward at another time. Also, there was this strange music that made my ear hurt at one point during the movie climax. I presume that it is made intentionally so that the observers at the cinema could understand what Shoko felt through the entire movie. That was great move though. Second is the animation. When speaking about Kyoto Animation’s production, never question their production value, as the animation is, as always, looks spectacular. Character moves smoothly and their expression was very expressive as well. Furthermore, the extra effort put on animating the sign language was notable as well. Oh, before we move to the next aspect, I would like to point out that the emotions the characters expressed in the movie essentially what makes the movie so good. Third is background. KyoAni certainly put a lot of effort in making it looks absolutely great. It was marvelous and the principal photography was really thorough. The building looks realistic but did not seem out of place whatsoever, and at certain point, it really describes the mood of the characters. I think it was wonderful. Last of the order is the voice acting. It is essentially what makes the movie so good. While Miyu Irino was really good in voicing Shoya, I think it was Saori Hayami’s stellar performance as a deaf girl trying to sound properly that truly stole the show. How can she make a sound and even speak like that? And it sounds so believable. It is both amazing and intriguing, amazingly intriguing if I do say so myself. Moreover, Kensho Ono was good in voicing Nagatsuka, though he came off a bit cooler than his character supposed to be. Aside from them, the voiceworks was okay to say the least. Thus, in short, the movie’s intrinsic elements were the things that actually made the movie great. 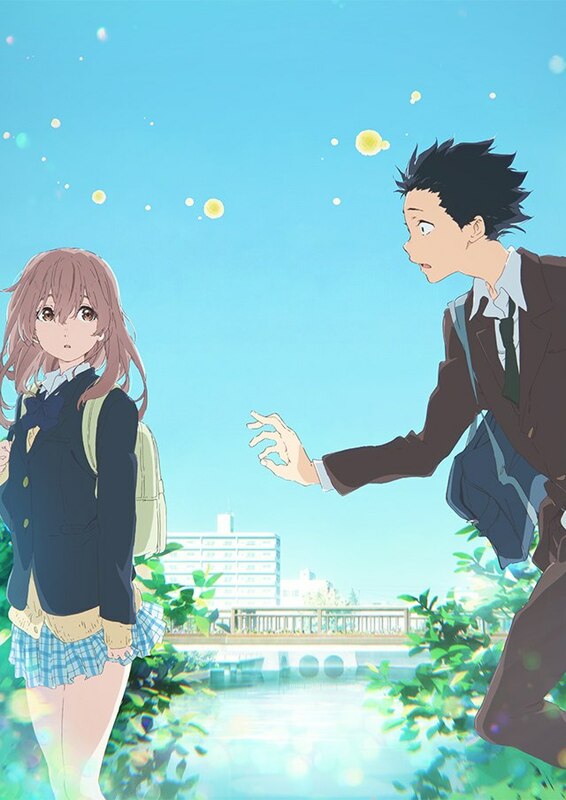 All in all, A Silent Voice is not a good movie, but it’s not bad either. It has a strong animation, as expected of Kyoto Animation’s title, as well as great voicework and production value, a very-very high one at that. However, it could not mask the fact that there was one essential elements that they missed and perhaps, a wrong move on their part. Casual fans should find this great, as the audiences in the cinema truly enjoyed the spectacle, and some are even crying for some reason I don’t even know what. However, those who have keen eyes on some simple but important things might not find that this movie is complete and perhaps, even rushed. Even the creator of Kimi no Na Wa himself praised this movie. I could shower this movie with even more praise, should that one issue be resolved. Still, this is a very phenomenal movie that you should watch. I can’t wait to own the blu-ray version myself. And of course, Naoko Yamada helmed the production of A Silent Voice. Given her history of producing the anime of K-ON! And Tamako Market, as well as the follow-up Tamako Love Story, and given her young age, she has a very-very bright future ahead of her. Brilliant as she might be, this might perhaps be a lesson for her to learn. But, a very good lesson at that. I hope she continues to produce and develop a work as phenomenal and exciting as this. Despite several shortcomings, the movie managed to pull through and delivers a very exciting and very emotional 2 hours of experience. Though in my opinion, A Silent Voice would have been better if it was made as a TV series with 12 or 13 episodes instead. It could cover the one thing that the movie missed and certainly put a lot of favor, but it could also mean less production value and less income for KyoAni. The good : Great voicework especially Saori Hayami, Nagatsuka and Yuzuru, high-amount of production values, aesthetically great, has a strong theme in bullying, strong first half. The bad : Side character does not get developed well, very weak second half. Final Score : 3.5 out of 5. I was so close of giving the show 3, but I think given the production value and effort put into it, 3 should do it. Feel free to add an extra point or two if you think it performed way better than expected. For me, that weak characterization really throws-off what should be a masterpiece in Kyoto Animation’s library and really held me back from giving the show a 5 score. Personal note : I want to know what my spiritual mentor, Nick Creamer, think of this movie himself, as he was not the one who reviewed the movie in the website. Maybe I shouldn’t have read the source material first? I don’t know. I don’t think that’s why my review score was surprisingly low on this movie though.